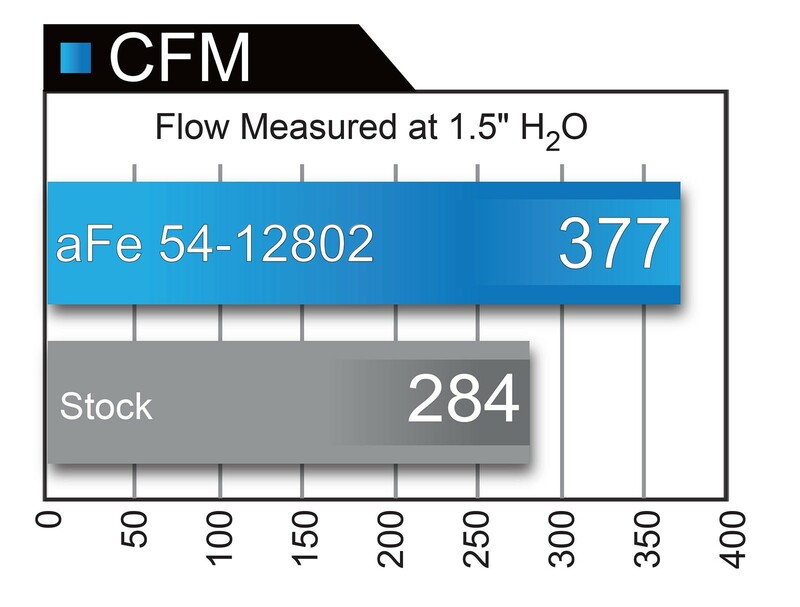 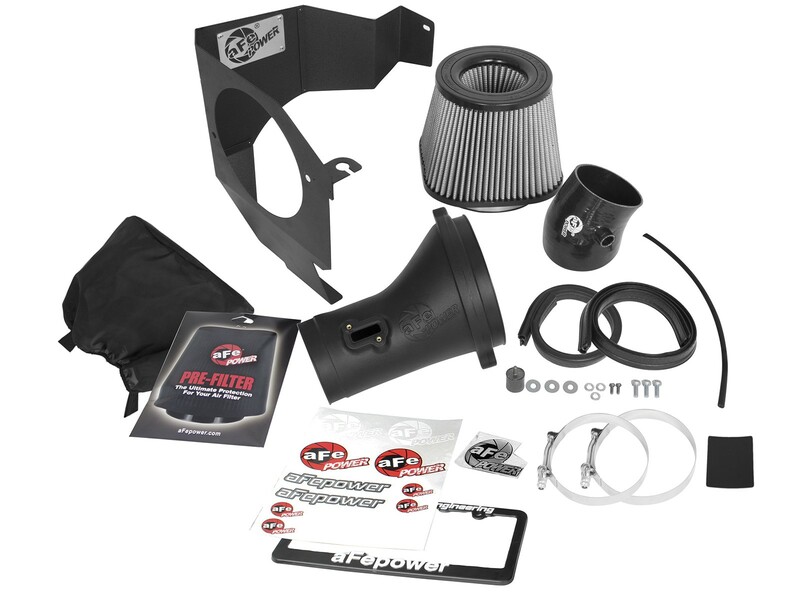 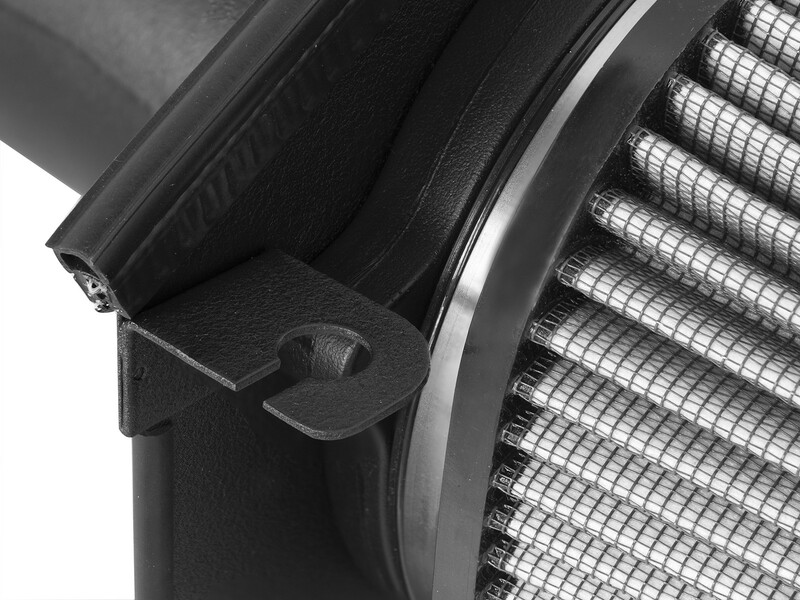 This intake system utilizes an oil free, 6-3/4" tall inverted top conical 360 degree radial flow performance air filter with 3-layers of progressive finer porosity synthetic media providing maximum airflow and performance. 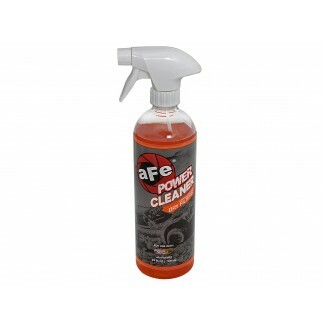 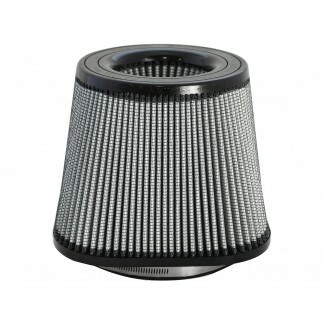 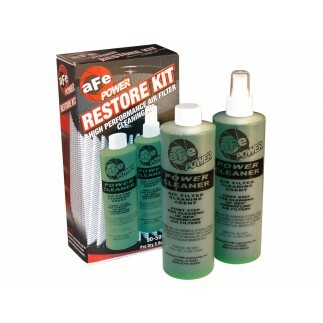 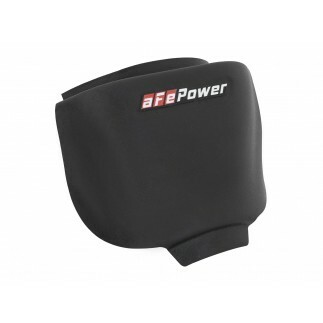 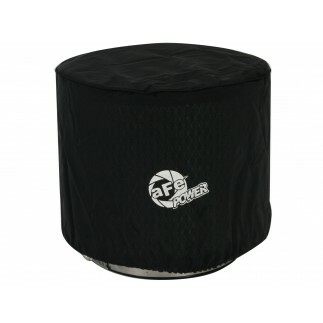 Also included is a Magnum SHIELD Pre-filter to protect your performance air filter from water splash or heavy rainstorms. 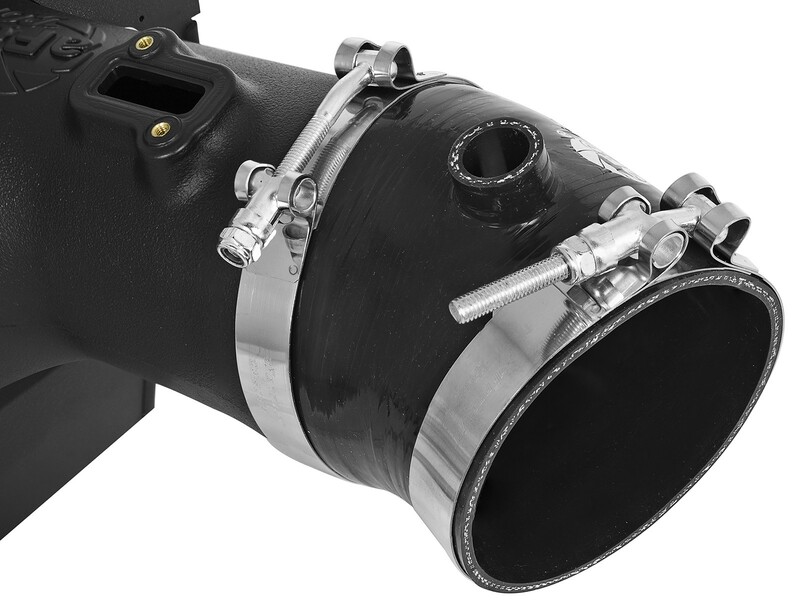 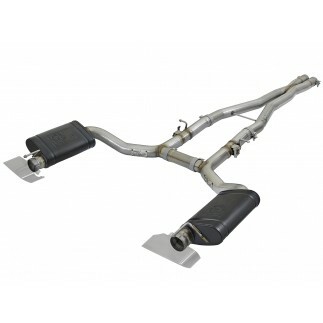 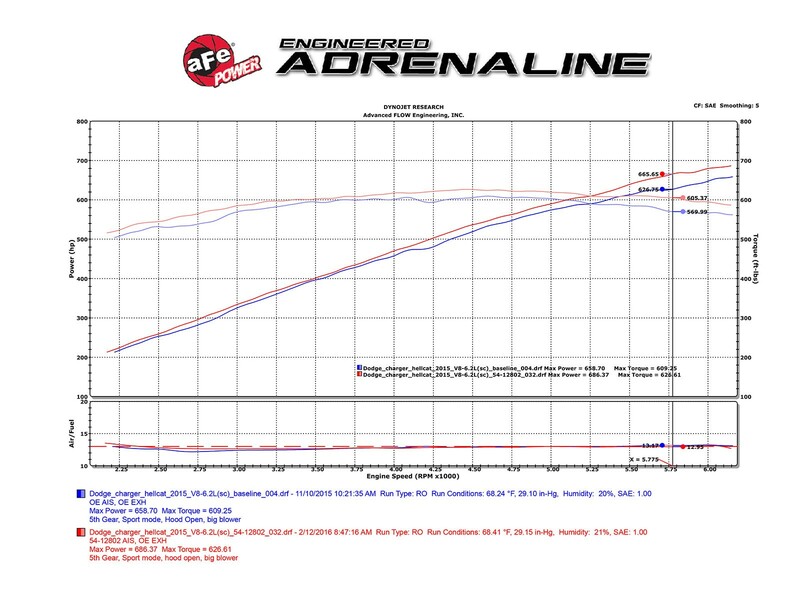 This system uses a high quality plastic CAD designed, dyno-tuned, roto-molded intake tube to achieve maximum power gains while maintaining a perfect fit. 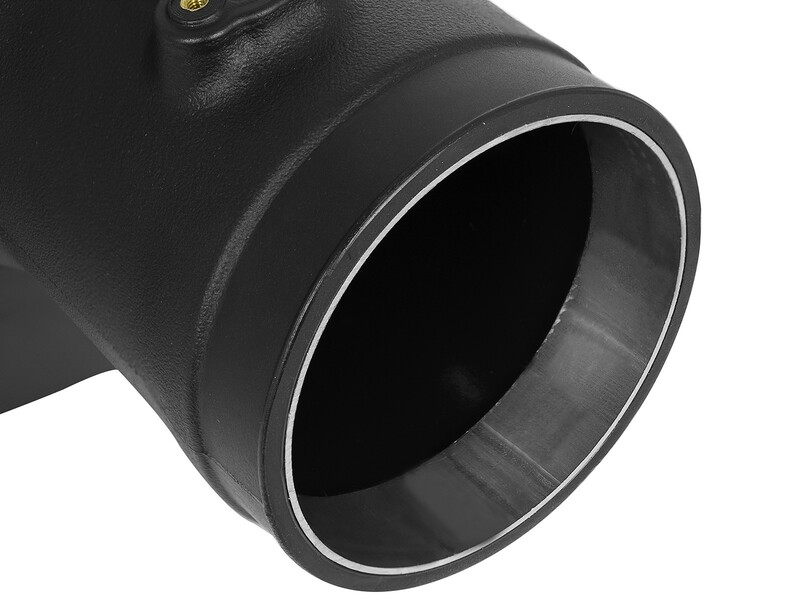 An aluminum sleeve is pressed in the tube end to reinforce the tube structure. 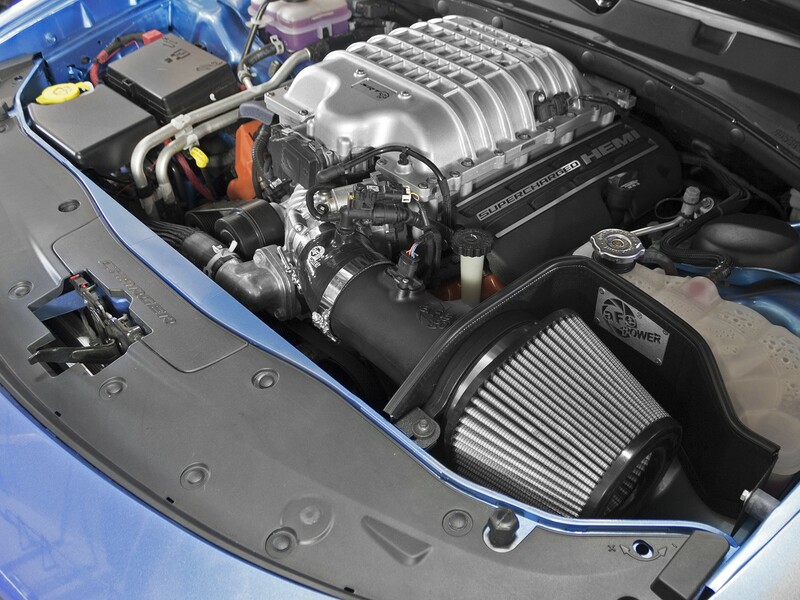 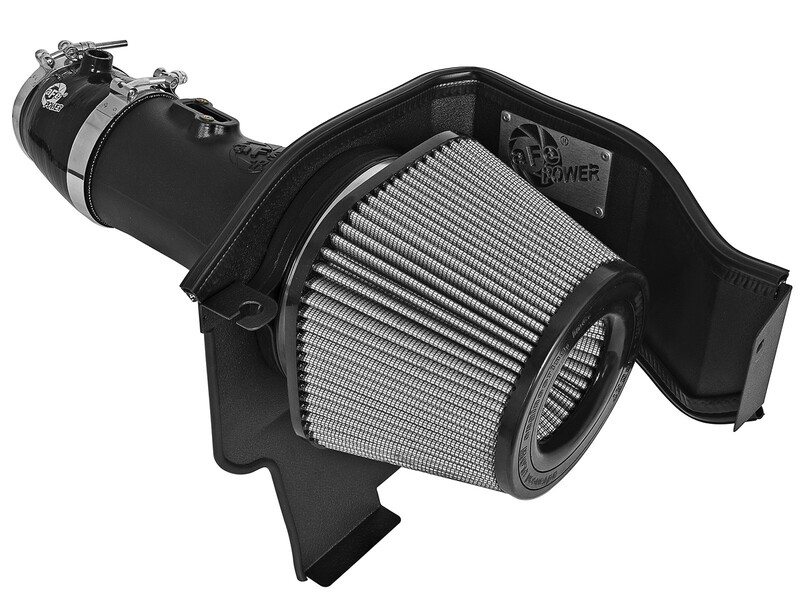 Note 1: This intake works with the Challenger SRT hellcat headlight inlet and Charger SRT hellcat inlet behind the front grille. 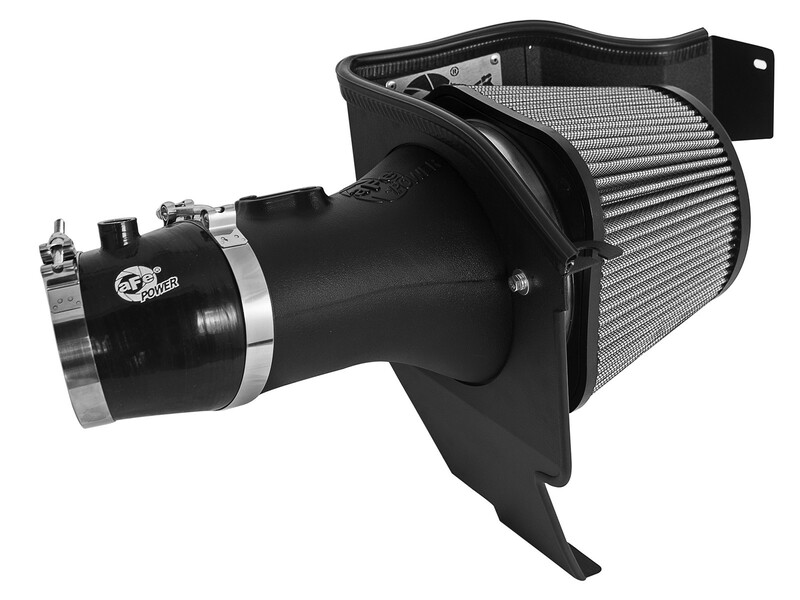 Note 2: This intake is 50-state legal (CARB E.O Number D-550-19/22).